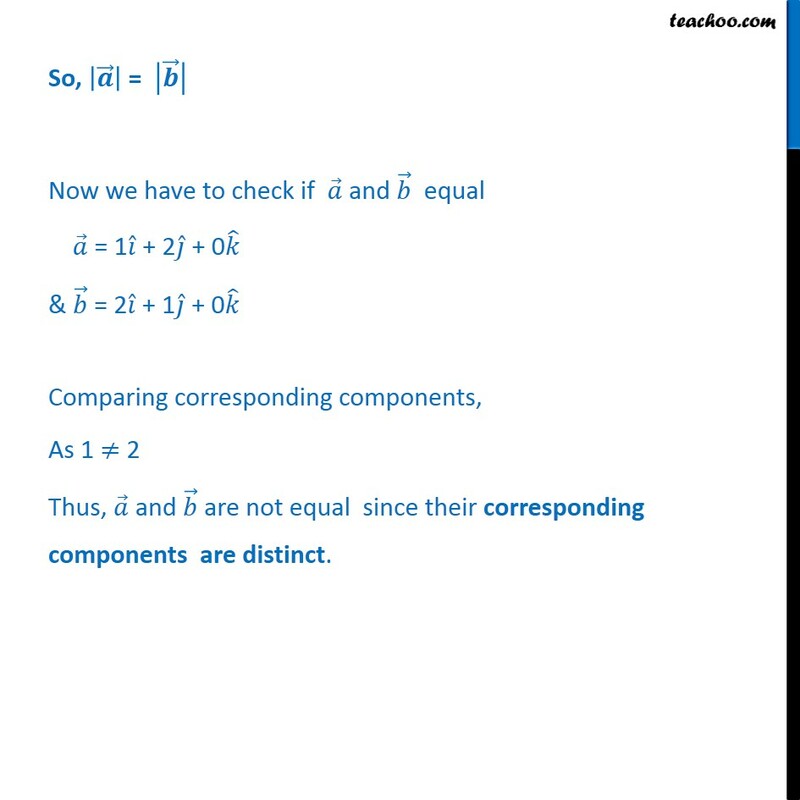 Example 5 Let = + 2 and = 2 + . Is = ? 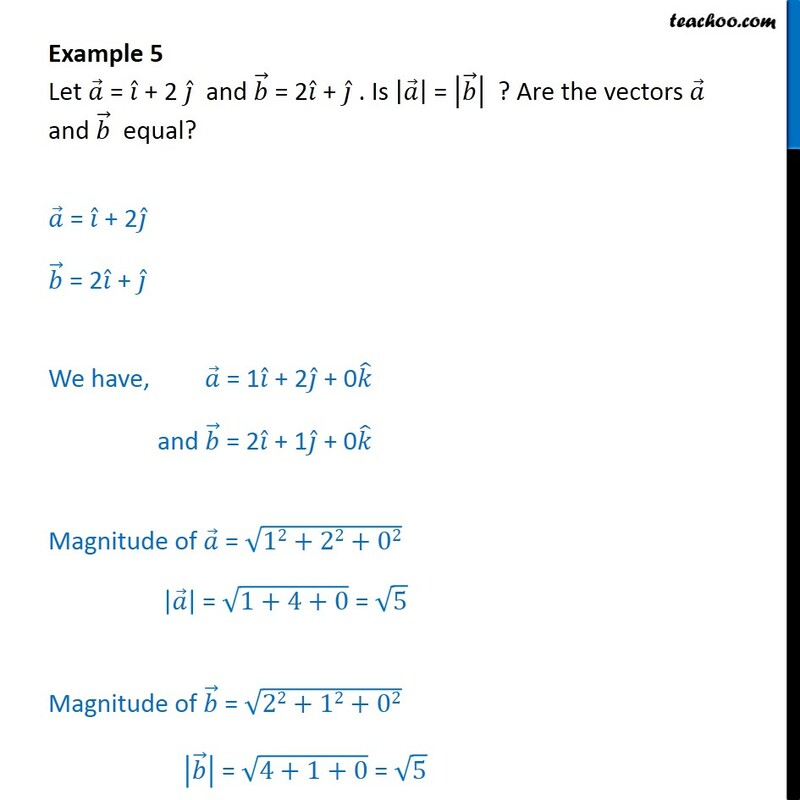 Are the vectors and equal? = + 2 = 2 + We have, = 1 + 2 + 0 and = 2 + 1 + 0 Magnitude of = 12+22+02 = 1+4+0 = 5 Magnitude of = 22+12+02 = 4+1+0 = 5 So, = Now we have to check if and equal = 1 + 2 + 0 & = 2 + 1 + 0 Comparing corresponding components, As 1 2 Thus, and are not equal since their corresponding components are distinct.